More lane restrictions will be in place on the Queensferry Crossing over the next 10 months due to “snagging” issues, it has emerged. The warning came as MSPs were told the fault which will disrupt traffic from tonight was caused by a workmanship error. Transport Scotland announced on Monday the new £1.35 billion bridge over the Forth would close on Thursday, for five days of surfacing works to be carried out. But the body’s director responsible for the structure, Michelle Rennie, has said further restrictions will be enforced at times up until September. Speaking to the Scottish Parliament’s rural economy and connectivity committee, she said: “We have been consistently saying that there will be finishing and snagging works required. “The contract allows for those works to happen up until next September, at no additional cost. The upcoming closure comes as part of attempts to have the bridge ready for the increased pressure a 70mph limit would have on the structure. The road surface around the bridge's expansion joints was laid too high, Ms Rennie revealed. She said the problem had been known about before the £1.35 billion bridge opened in August but a solution was only devised two weeks ago. This concluded there could be an impact on the joints of raising the bridge's 50mph current speed limit to 70mph to make it a motorway. A 15m section will be resurfaced on either side of the bridge. The work is expected to enable the speed limit to be raised to 70mph by Christmas. Ms Rennie said the fault was only announced on Monday once a clear weather window had been established for the repairs to go ahead. Southbound traffic will be switched to the Forth Road Bridge from 10pm tomorrow until 6am next Wednesday. Northbound traffic will continue to use the Queensferry Crossing, with the speed limit reduced to 40mph. The disruption is expected to cause delays of up to four minutes during the morning and evening peaks. Ms Rennie told the committee: "The snagging issue is not due to the joints, but the level of surfacing around the joints. "It was laid marginally too high. "That's a workmanship issue. It's the road surfacing at fault. "The surfaces were not laid to the tolerances set out in the design. "There is concern about the impact of use of the road at 70mph on the joints." Ms Rennie said officials had not wanted to alert the public to the problem until firm dates could be fixed for the repairs. She said confusion would have been caused if the work had had to be postponed. The cost of the repairs will be paid for by the Forth Crossing Bridge Constructors (FCBC) consortium which built the bridge. Ms Rennie also admitted some of the bridge's windshielding required further work, but "nothing in comparison with what's been reported". She said: "Some aspects need some finishing work" which was expected to be done at the same time as the surfacing work. Transport Scotland has said three incorrectly fitted panels in the 3.m high barriers have had to be repaired but denied claims that six had fallen out and one fell into the in the Forth. Ms Rennie also said there could be further lane closures until next September for other "finishing and snagging" work. Scottish Conservatives transport spokesman Jamie Greene said: “Motorists and commuters must be dismayed. "This SNP government opened the bridge with a £1.5m celebration party and used it as a symbol of their stewardship of the country. “All the while they knew that there were problems with the road surface, that these problems would have to be fixed and the bridge would have to be closed shortly after opening it. “At no point were road users, whose daily lives are now thrown into disarray, informed that there were impending closures. "To make matters worse, we now know that there are potentially more closures to come. “Commuters just wanted a bridge that would get them to work on time. “There are some serious questions to be answered as to how shoddy workmanship passed quality control checks prior to opening in the first place, whether or not these errors were as a result of pressure to speed up the works and whether there was any political pressure on the contractors to open despite ministers being made aware of potential faults and snags. “It is abundantly clear the SNP was far more preoccupied with spending taxpayers money on party planning than actually delivering a vital infrastructure development fit for purpose from day one. Scottish Labour transport spokesman Neil Bibby said: "Transport Scotland has known about these faults for months and they have chosen to keep that information from the public. "Road users found out about carriageway closures at the last minute and officials have confirmed there are more closures to come. "The SNP transport minister must give a full explanation and account for his handling of the project. "Either the SNP knew about this fault and choose to keep it quiet or they didn't, which demonstrates yet again their gross mismanagement of major infrastructure projects." Neil Greig, policy and research director of the IAM RoadSmart motoring group, said: "It is good we now know more about the issues affecting the bridge, but it is concerning that a fault that predates the opening was allowed to go untreated until now. "Poor workmanship may have been to blame, but the political pressure to get the bridge open may also have been a factor. "Long-suffering drivers will be unimpressed that the success of this multi-million pound project is now reliant on a few metres of Tarmac. "The key to success now seems to be the weather, which has proved notoriously unreliable already on this massive project. "Ironically, using the bridges as a matching pair, which is something IAM RoadSmart have always supported, may well deliver less traffic congestion than we have seen in the last few months. "This is a prestige project for Scotland and it is crucial Transport Scotland convinces users that its legacy will not be one of poor workmanship and delays." However, Transport Scotland said the political pressure claim as "simply untrue". A spokesperson said: "The decision on when to open the Queensferry Crossing was taken solely on the expert advice of our contractors, FCBC. "The road was also subject to independent inspection prior to opening. "Snagging issues are normal on a project of this scale and complexity. “The Queensferry Crossing is a world-class bridge, a shining example of the expertise and endeavour of the people who built it and is something Scotland is rightly proud of. 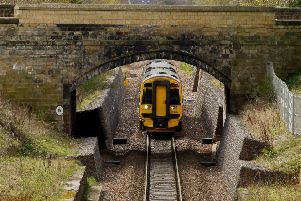 Scottish Liberal Democrat Edinburgh Western MSP Alex Cole-Hamilton said: “During the lavish fanfare of the opening back in September, the Scottish Government made no reference to the fact this would have to be fixed. "Cutting the ribbon on the bridge was rushed to avoid financial penalties or adding to the existing eight-month delay. "It is an insult to the public that ministers didn't tell them closures were on the way. "We need to know exactly what other works are in the pipeline to make the bridge fully operational and how this will impact upon its users. “Closing the southbound lane for days will cause further disruption for my constituents. "I have persistently suggested the Forth Road Bridge be used in the event of snagging issues and was criticised for this suggestion by the Scottish Government.